COMPOSITION: 100% acrylic fabric with pvc adjustable strap. 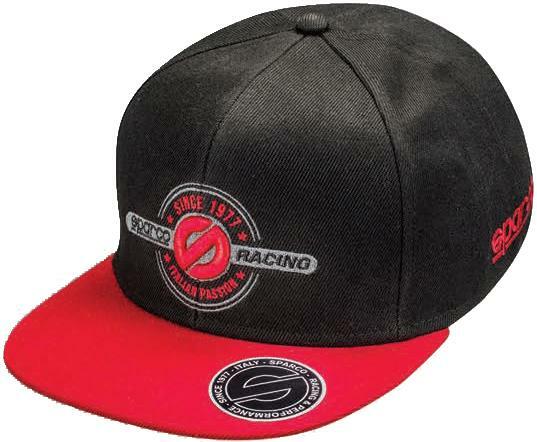 CHARACTERISTICS: Original cap with flat peak and embroidered 3D graphics at front. Sparco 1977 sticker on peak.